Role of endocannabinoid system in dopamine signalling within the reward circuits affected by chronic pain. “The association between chronic pain, depression and anxiety has gained particular attention due to high rates of comorbidity. Recent data demonstrated that the mesolimbic reward circuitry is involved in the pathology of chronic pain. Interestingly, the mesolimbic reward circuit participates both in pain perception and in pain relief. The endocannabinoid system (ECS) has emerged as a highly relevant player involved in both pain perception and reward processing. Targeting ECS could become a novel treatment strategy for chronic pain patients. “To analyze available data related to the use of cannabinoids in medicine, with a special focus on pain management in cancer. The use of cannabis for medical purposes is growing but there are still numerous questions to be solved: effectiveness, safety, and specific indications. There is considerable variation between countries in the approaches taken, reflecting a variety of historical and cultural factors and despite few randomized controlled studies using natural cannabinoids, there is a trend to state that the use of cannabis should be taken seriously as a potential treatment of cancer-related pain. Cannabidiol, a nontoxic phytocannabinoid with few side-effects is promising in various indications in medicine. “Our main aim was to investigate the short-term therapeutic effects, safety/tolerability and potential side effects of the cannabis galenical preparation (Bedrocan) in patients with a range of chronic conditions unresponsive to other treatments. In this retrospective, ‘compassionate use’, observational, open-label study, 20 patients (age 18-80 years) who had appealed to our ‘Second Opinion Medical Consulting Network’ (Modena, Italy), were instructed to take sublingually the galenical oil twice a day for 3 months of treatment. The usual starting dose was low (0.5 ml/day) and gradually titrated upward to the highest recommended dose (1 ml/day). Tolerability and adverse effects were assessed at baseline and monthly thereafter during the treatment period through direct contact (email or telephone) or visit if required. Patients’ quality of life was evaluated at baseline and 3 months using the medical outcome short-form health survey questionnaire (SF-36). “Epidermolysis bullosa (EB) is a genetic blistering disorder characterized by intense pain related to disease pathology and care‐based interventions. Opioid‐based therapies underpin pain care in EB; however, they are unable to provide adequate analgesia in a significant proportion of patients. 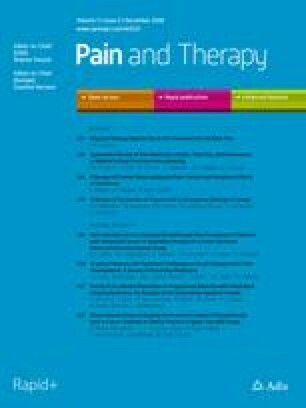 Cannabinoid‐based medicines (CBMs) have been studied increasingly for pain conditions of various aetiologies and pose as a novel dimension for pain care in EB. We present three patients with EB who were prescribed pharmaceutical‐grade sublingually administered CBMs comprising tetrahydrocannabinol and cannabidiol.